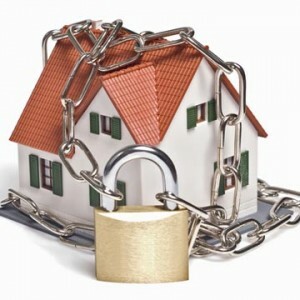 SBA Default - Personal Guarantee - Can I lose my House? It’s key to understand that the bank does NOT want to kick you out of your house. In fact, the SBA guidelines for dealing with a defaulted loan with a lien on the borrowers house specifically recommend to the bank that they attempt to work with the borrower to avoid foreclosing on their home. What this means in practical terms is that if you can “settle” with the bank for a sum of money that is approximately equal to what they would receive should they pursue a foreclosure, then the bank will accept the money in lieu of foreclosing and release the lien on the borrowers home. However, accomplishing this is complicated by the fact that any money held by the borrower is frequently subject to the borrowers personal guarantee with SBA bank. First off, it is critical to understand that the definition of “equity” is different, depending on your perspective. There is what I call Fair Market Equity, which is based on the fair market value (FMV). This is the amount of money that would be left over after satisfying the mortgages and fees (broker, legal, sales tax, etc) if you voluntarily sold your home in a normal fashion. However, for purposes of evaluating the equity in a situation where you are dealing with a hostile SBA bank that is attempting to forcibly take the home, equity is evaluated differently. For a bank to take your home, they must foreclose and then auction the home. At the foreclosure sale, the SBA bank must also be prepared to pay off the primary mortgages. So you can immediately see that if the house is unlikely to fetch more at the foreclosure sale than the primary mortgage values, the SBA bank is unlikely to pursue the foreclosure (more on this later). Thus, when evaluating the “equity” in a home under attack from an SBA bank, the house in no longer worth FMV, but is worth what the bank would receive at a foreclosure auction, or Liquidated Value (LV). This value is hotly contested by SBA banks, but a good rule of thumb is a maximum of 80% of FMV (IRS and FDIC guideline for liquidated value) to as low as 50% of FMV (not uncommon in some depressed states like FL, NV, CA, and MI). So when asked the question, “will the bank take my home?”, I must first analyze what is the Liquidated Value that the SBA bank would receive at a foreclosure auction? Depending on the outcome of that analysis (Significant equity, nominal equity, no equity) the answer becomes clearer. In cases where there is significant equity (I use $40K as a rule of thumb), then the borrower must expect that the bank is going to aggressively pursue it’s lien, and unless the borrower can fork over a chunk of cash equivalent to the amount the bank would receive at foreclosure, then the borrower is at risk of losing their home. For situations where the bank would receive nominal or no cash in a foreclosure sale, then the bank has no real motivation to move forward with a foreclosure. However, that does not automatically translate into the banks willingness to release the lien. Frequently, the bank will decide to “sit” on the lien until such time as the homeowner has either paid down the primary mortgages or the house has increase in value sufficiently to make the SBA bank’s lien have significant equity. In these situations, it is imperative for the borrower to make an offer of significant value (~$25K) in order to get the bank to release the lien (as well as the personal guarantee). So, in summary, the answer to the question as to whether on not the borrower will lose their home, is that it depends on whether there is Liquidated Value to the equity in the home, and whether the borrower has adequate financial resources to settle with the SBA bank. The worse case is when their is equity, but the borrower has no financial resources. In those cases, the bank will pursue a foreclosure, and even a bankruptcy filing will not prevent the borrower from losing their home (although the borrower should always consult with a bankruptcy attorney).